The TimeCutter MX5060 offers the time-saving speed and agility of a TimeCutter SS with the added strength and durability of a new fabricated deck. 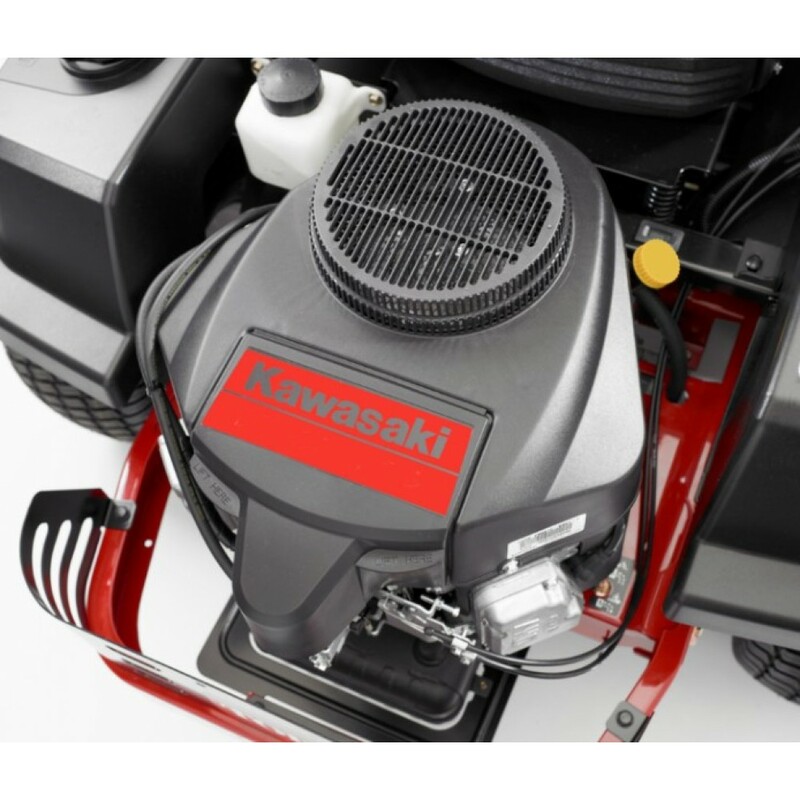 It features a wide 50" cutting deck and 23 hp Kawasaki V-Twin engine. Larger front and rear tires than the MX4260, plus all the added comfort features you need for tougher jobs. 23 hp Kawasaki V-Twin 726cc Engine- Kawasaki® V-Twin engines provide smooth, quiet and powerful performance. Fabricated Deck- Welded together from plates of 10-gauge steel and a bull-nose bumper leading the way, this deck can handle tough conditions. Height-of-Cut Assist- Foot-assist height of cut makes it easier for you to raise and lower the fabricated deck. 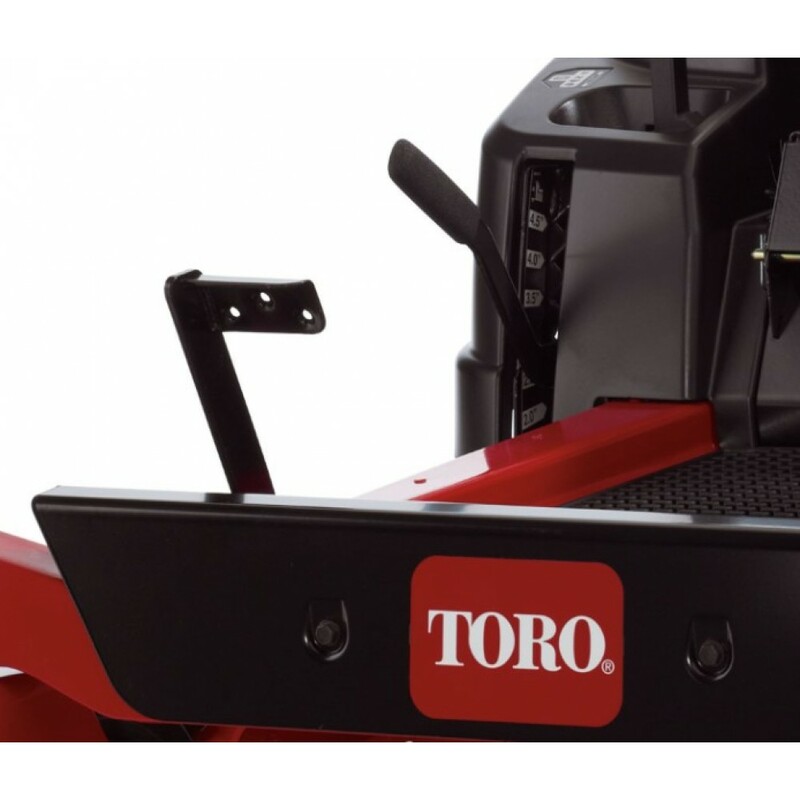 Smart Speed Control System- Toro's exclusive Smart Speed™ control system takes the mower's time-saving speed and agility and adds greater control. This feature lets you choose different ground speed ranges with the flip of a lever without changing the blade or engine speeds. Mow large open areas in high speed range to finish quickly. Use the low speed range for controlled maneuvering around trees, gardens and landscaping. 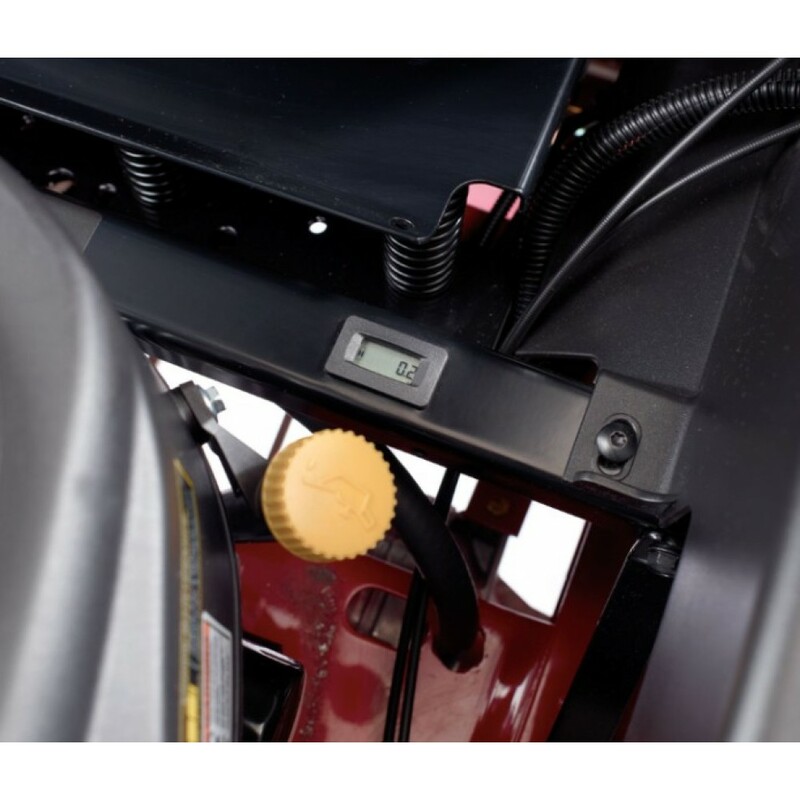 Precision Steering System- Control lever dampeners provide smooth drive engagement to prevent jerky operation and sudden starts and stops. Thick, padded control levels allow you to keep in control and ride in comfort. Heavy-Duty 10-Gauge Frame- The heavy-duty 10-gauge frame provides increased strength, durability and reliable performance. 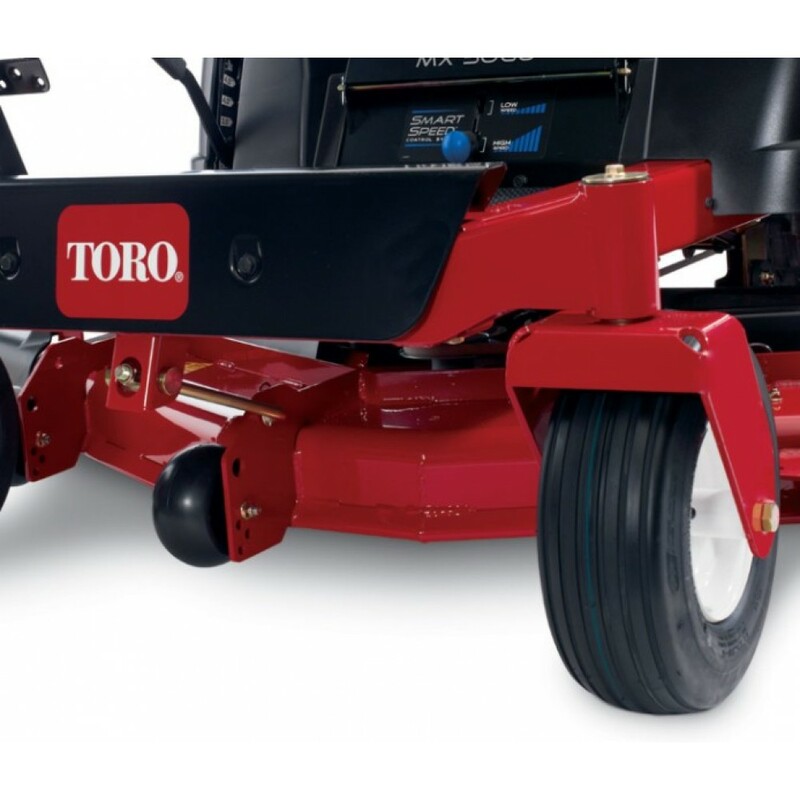 3-Gallon (11.4 Litre) Fuel Capacity- The TimeCutter SS and TimeCutter MX feature a large 3-gallon (11.4 Litre) fuel tank for more mowing with fewer fill-ups. Knowing when to fill up is simple thanks to the translucent tank, which also helps to prevent overfilling. 7 MPH (11.3 kph) Forward Ground Speed- Get the job done fast. With a top speed of 7 mph (11.3 kph), the TimeCutter® is all about productivity. 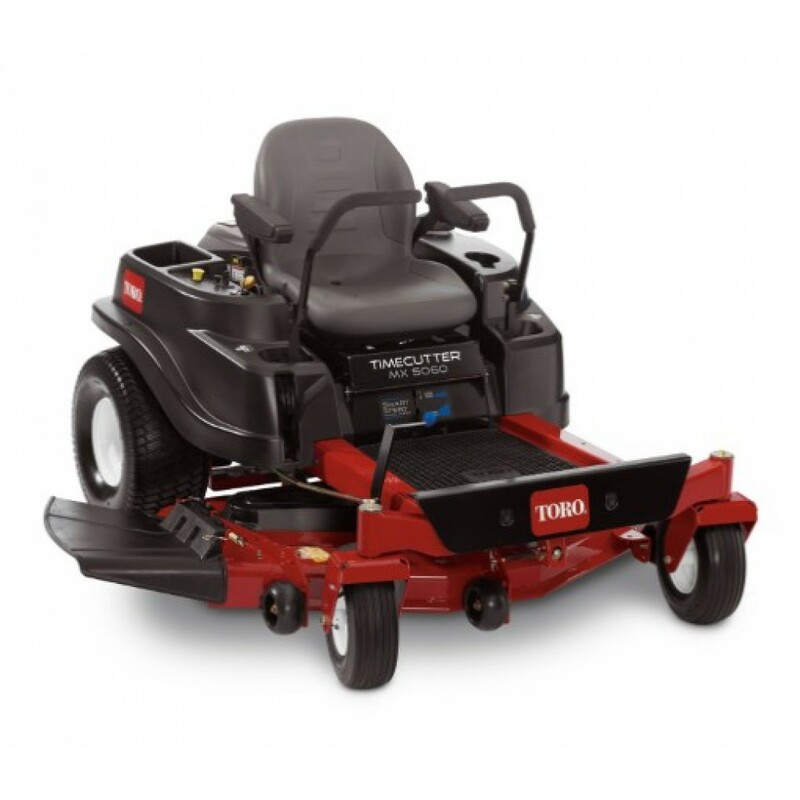 Whether you want to cut your mowing time or enjoy the ride, the TimeCutter® has the speed you need. 18" Extra Tall Contoured Seat- MX models are equipped with 18” extra-tall seats with armrests, standard. 3-Year Limited Warranty- Product is warranted against defects in materials and workmanship for three years. See owner's manual for complete warranty details.